Race Day. 10K! Checking the weather for heat updates ... smoke updates ... Ensuring that enough liquid to stay hydrated is on hand ... Having a healthy snack ...Waiting at the start line ... Adrenaline sets in! Ready ... Set ... Go! That is the pre-race scenario for most racers. For The Orange Hippos it doesn't look anything like that. The check list is: Suction machine √ Spare Suction Machine √ Food Pump √ Chair battery charged √ Hand Sanitizer √ Bi-Pap machine - it can stay in the van for the ride home √. Go! Wait, what! Go? We're already on our way - why did they take so long to say go! It was a fantastic day and huge congratulations to the Team that put on Florence and Charlies' 10K to End SMA. They raised in the neighbourhood of $40 000.00 for CureSMA Canada. Of that, our amazing supporters behind The Orange Hippos raised just over $6 300.00 and we greatly appreciate your support for this cause that is so important to our family. The winner of The Orange Hippos T-Shirt draw is Billie - a lovely young lady from England who has been a long time fan of Emmett. Congratulations, Billie! We will get your t-shirt off to you shortly. Family and friends are so important. One of Emmett's best friends, Felicity, and her mom were also there running and rolling by Emmett's side. It was so good to celebrate together. 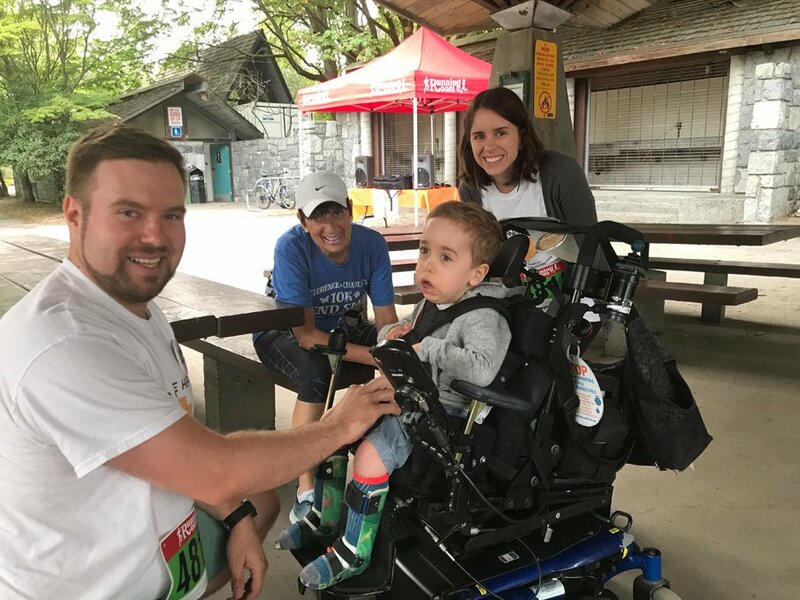 While getting prepared for the race Emmett had a chance to chat with a fellow participant - his amazing neurologist from BC's Childrens' Hospital. She has participated in every one of Florence and Charlie's 10K to End SMA events. She also is involved as a key member of most, if not all, of the B.C. 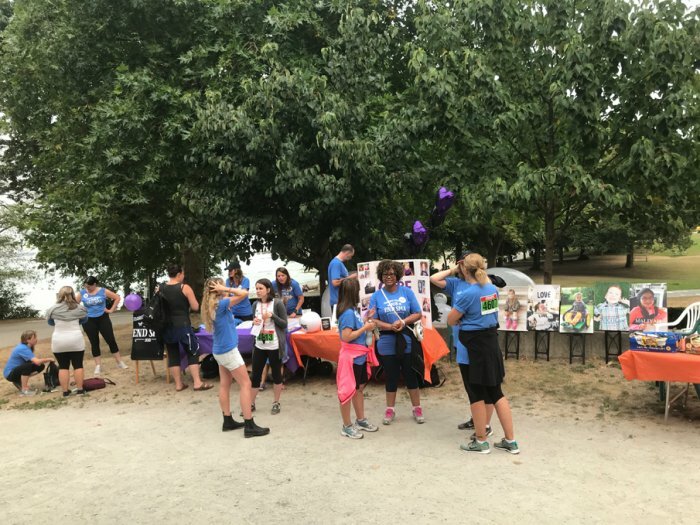 kids who have Spinal Muscular Atrophy. Any Type. 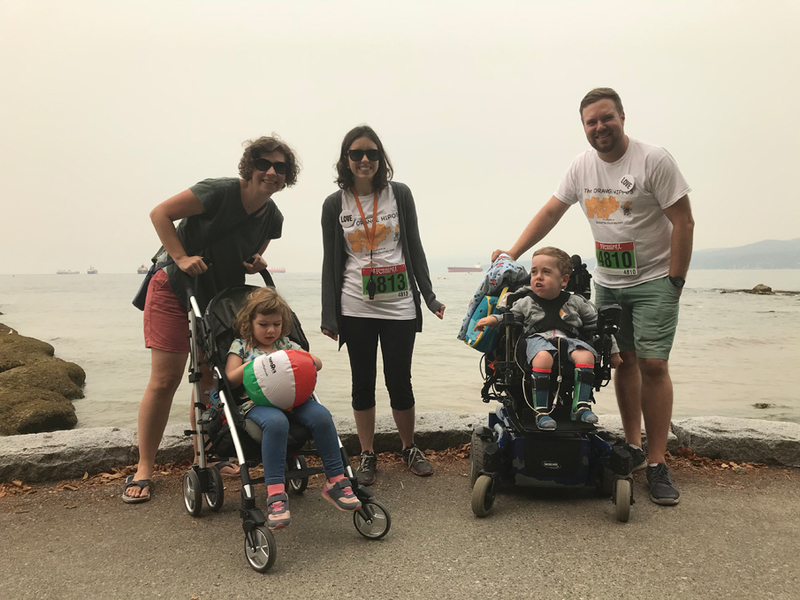 Alisha and Josh met with her three years ago as Emmett's diagnosis was made at BC Children's Hospital and she has been by their side supporting them since. His medical team is absolutely amazing. There is no question that the medical team that is involved with Emmett is a huge part of this families life. Emmett got off to a great start and was the race leader for the first 100 metres. It was a good thing that the starter wasn't right at the start line or they would have noticed that Emmett took off a few seconds before the offical 'GO!' was sounded. About 400 metres into the race Emmett needed to stop under a shade tree to lie down for 5 or so minutes. He got quite choked up - was it the excitement of the race? the smoke haze from BC's wild fires? The rather strong fishy smell from the ocean? 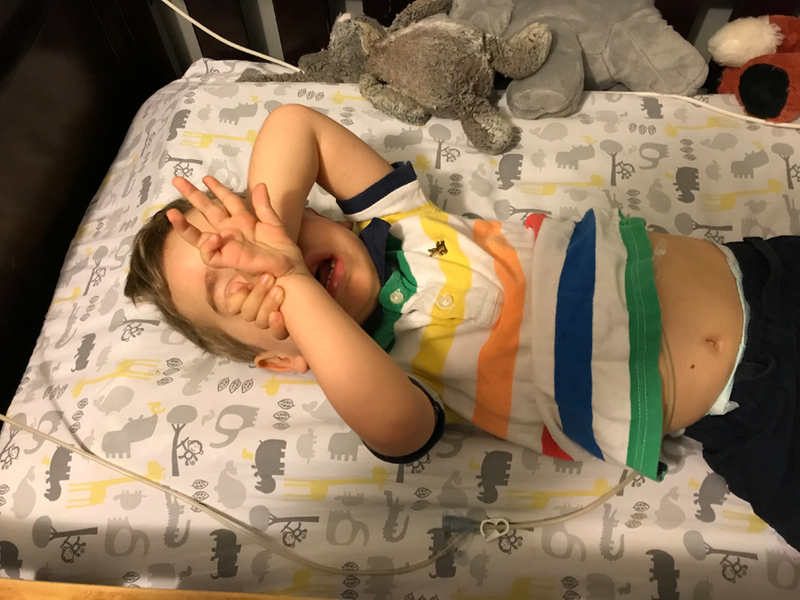 Sure, each of those had a little bit to do with it, but the primary factor is because Spinal Muscular Atrophy interrupts activities and demands attention at a moment's notice. SMA stops the brain from communicating with the muscles - and not just simple things like legs and arms. He cannot swallow. He has challenges breathing. 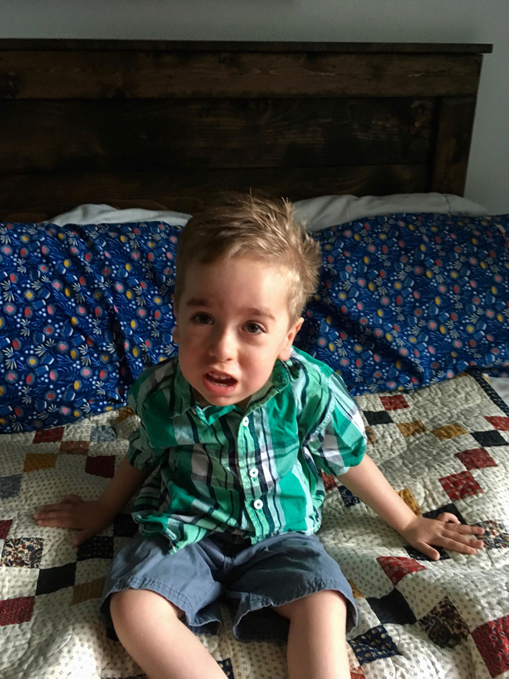 SMA has a major impact upon his life and upon every other child and adult afflicted by this disease. A suction machine to remove saliva that Emmett cannot clear on his own is simply a regular part of life. The fact that he'd been cruising around the park pavilion and the area around Ceperley Park for just over an hour meant that he'd had quite a bit of excitement and exertion before the race even started. If you're wondering about the sepia tone in the photos, that is being caused by the extensive forest fires in B.C. and the smoke is now having a huge impact - including Stanley Park. Here we have a confession to make - Emmett did not cover all 10K. That is simply not a reasonable challenge for a three year old. 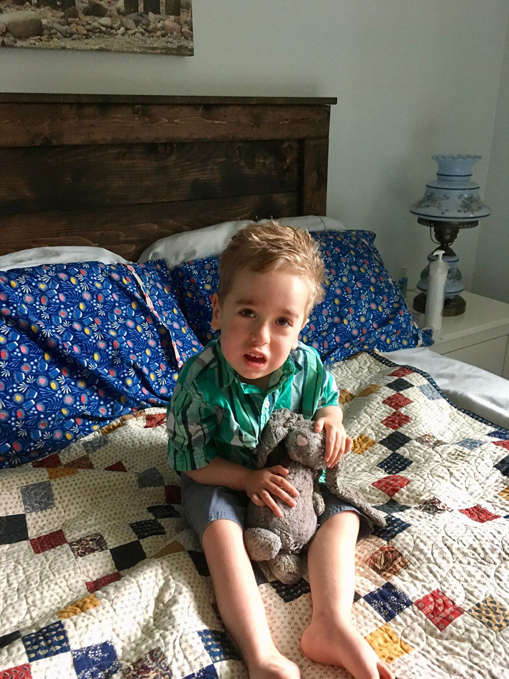 It really doesn't have as much to do with the fact that Emmett has SMA Type 1 as it has to do with being three. Thus being distracted by anything and everything that is around him. Emmett did go through the start and finish arch at least a dozen times. He loved looking at all of the rocks out on the beach. As he looked out at all of the ships moored out on English Bay his comment was, "Follow the Leader!". I had to take a second look and then observed all the ships moored in a line. At the awesome stone stairs that led down to the beach, Emmett had to stop - obviously. But he directed me to go down the stairs and back up. He still got to experience the stairs. Going in circles for at least 20 minutes on the smooth concrete pavilion floor. Then he played bashful while meeting all kinds of people - there were over a 100 participants and I'm guessing at least 20 of those were in wheel chairs/power chairs/mobility strollers. After that initial pit stop at the 400 metre mark Emmett was a solid competitor. Passing by the swimming pool was an understandable challenge - he really wanted to go swimming (the pool being at about the 700 metre mark meant for another early race slow down). Staying on the right side of the pathway was a challenge. Emmett is three and he likes meandering strolls rather than straight line express routes - and at busy Stanley Park there were one or two near misses! Fortunately most people are amazingly understanding about a toddler in a wheelchair who nearly mows them down! Emmett probably covered about 3 kilometres of the total route, but do not let that mislead you. Throughout this excursion he probably covered 8 kilometres - I know that because while I was with him my iPhone recorded over 10 000 steps. There were several instances where I was the pivot point with Emmett doing circles around me making me dizzy. And there were 5 other adults also trying to keep up with Emmett. So there's no doubt that Emmett did the equivalent of between 12 000 and 16 000 steps! Crossing the finish line brought this 10K roll to an end. 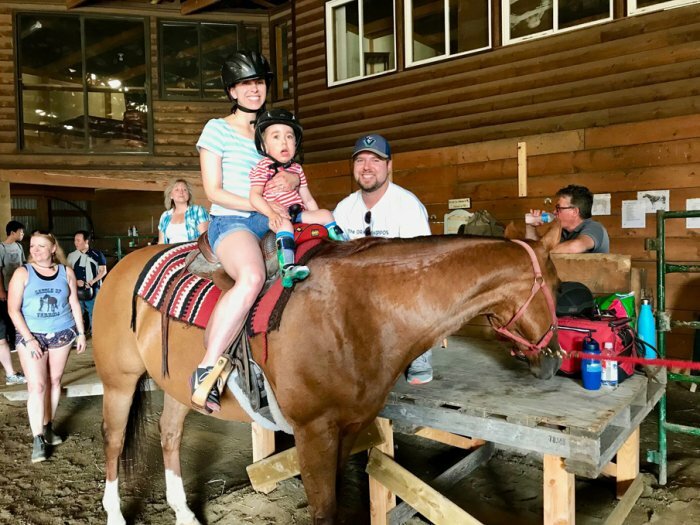 This is just one small facet of the endurance race that all of us, Emmett included, are in. August is SMA Awareness month. Throughout this blog there is a lot of information about SMA. You can also visit CureSMA Canada or CureSMA USA. If you're outside of these two countries, there are advocacy groups in many other countries. and if you don't roll, then you can walk or run. 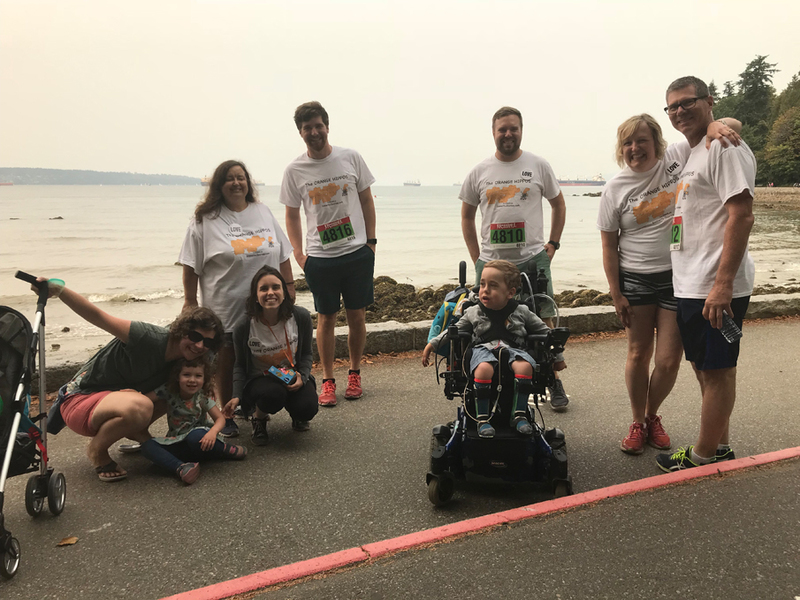 In nine days from now, on August 19th, Emmett and family and friends (aka The Orange Hippos) are going to be rolling, walking, and perhaps even running in Florence and Charlie's 10K to End SMA. 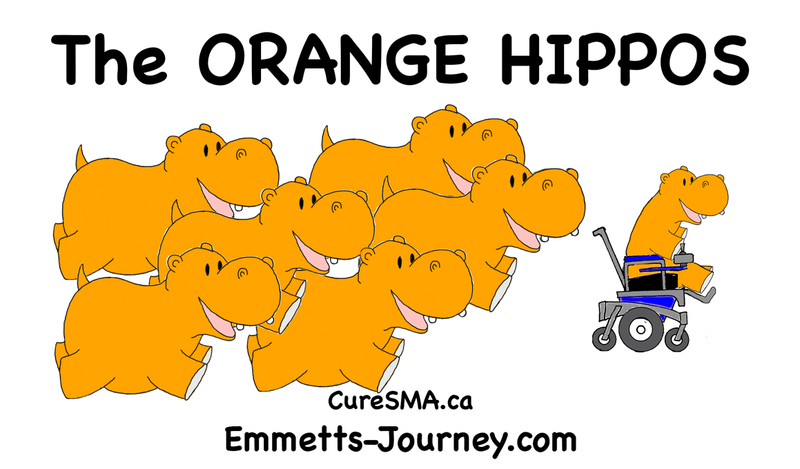 Emmett and The Orange Hippos have so far raised over $5000 towards this very important cause. And it's not too late to make a donation, you can click the link to take you to the Running Room where you can make a donation and receive a tax receipt. If you want to support Emmett in this roll-a-thon, please click here to make a donation. If you want to join us and walk at 10 a.m. on August 19th, we'll be at Stanley Park in Vancouver, B.C. The rolling (and walking for those without wheels) will begin from Ceperly Park, Second Beach Gazebo. Emmett has been busy and happy this month. He participated at his churches Vacation Bible Camp and loved watching and interacting with the other kids. His mom and dad plus his grandparents have all been busy too. As a result this month's blog is going to be a lot of photos! Mainly of Emmett! Hope you enjoy! 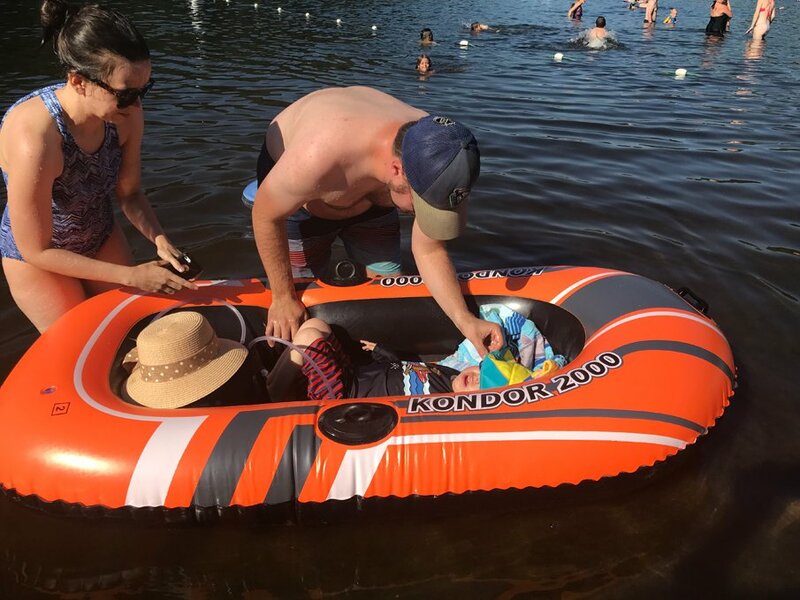 A lovely couple captured this photo of Emmett in the canoe with his mom and dad - and then shared it with us. Thanks so much! 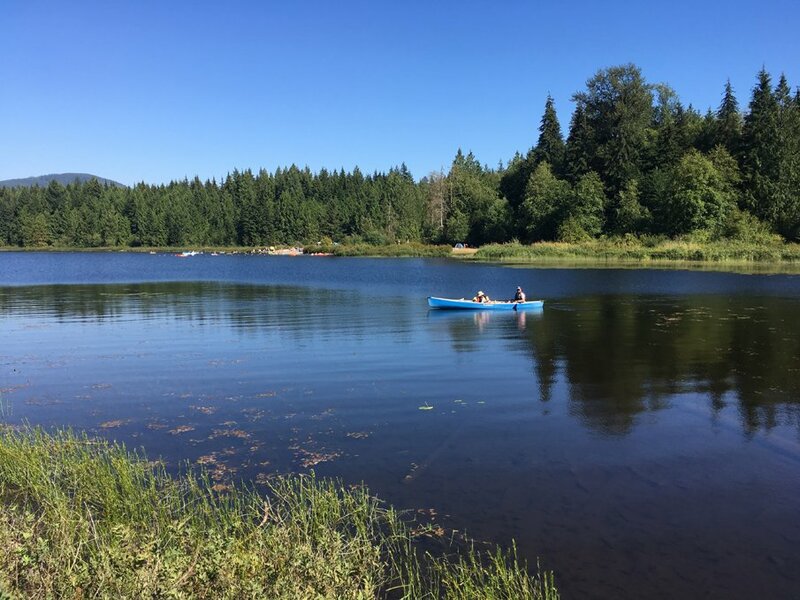 This was at Rolley Lake Provincial Park. Cold water takes a bit of getting used to! 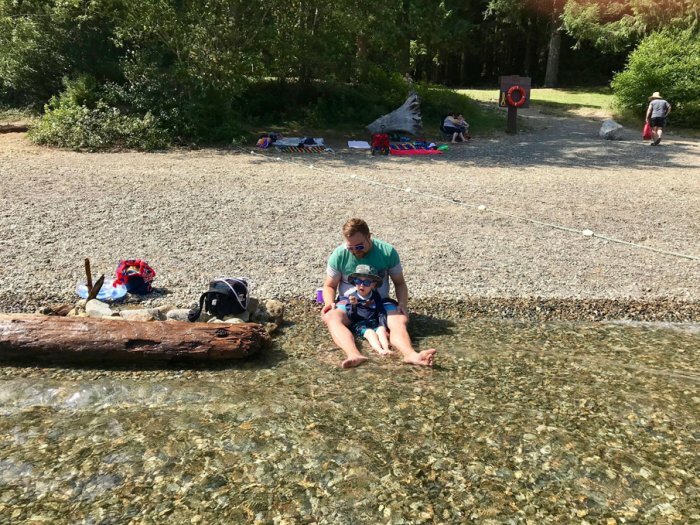 The crystal clear water at Golden Ears Provincial Park was incredible! The orange boat ... just perfect for the key member of the Orange Hippos! 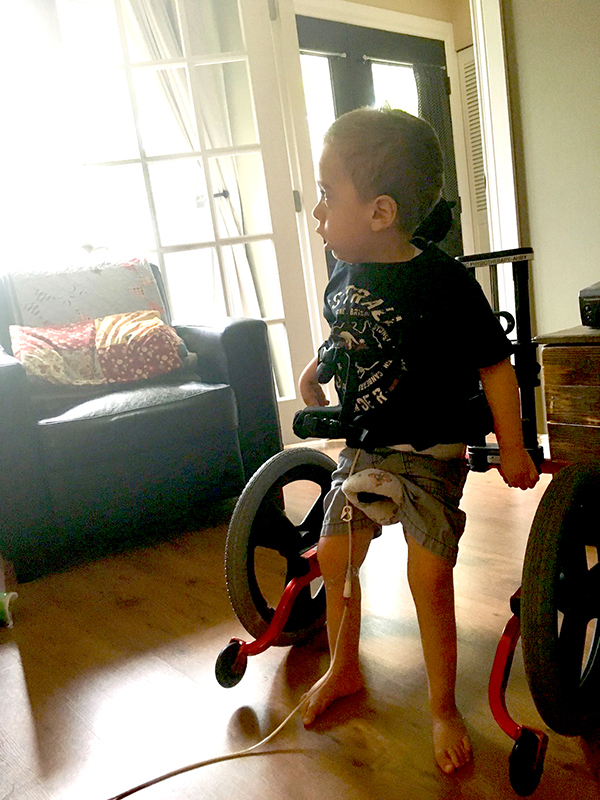 Emmett is still experimenting with this standup walker. He's making great progress but finds that the seat is a bit tough on his boy parts! Hide and Seek. Simply the best game ever! Emmett loves watching other people do gardening! 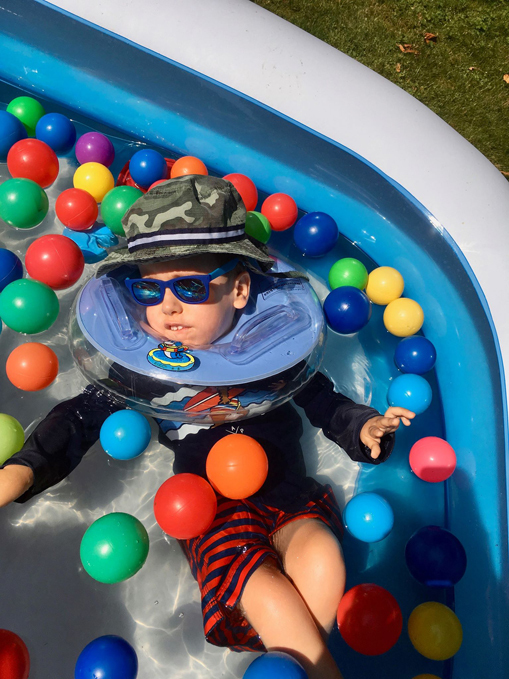 Cold water is certainly not his favourite, but this little man absolutely loves being in the water. And look at that style! Seeing Emmett sitting is so fantastic. Today I had him sitting on the kitchen counter while his mom and I were talking. I was right there to catch any potential fall, but needed something from his room and asked Emmett if he could sit there for me. He planted both hands on the countertop - like the top photo - and was ready for me to leave. Of course, we are a long way from that stage yet but Emmett's getting ready for it! Want to win an Orange Hippos T-Shirt. 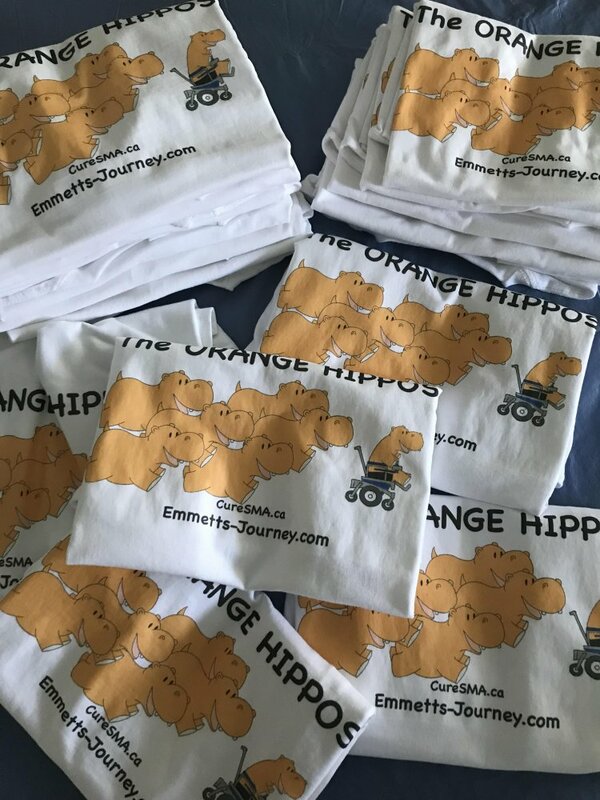 Simply sponsor anyone on The Orange Hippos with a $25 or more donation, then your name will be entered into the draw to win one of these amazing shirts that were inspired by Emmett. If you make your donation in support of Emmett, then your name will be entered 3X's into this random give-away. All names supporting the Orange Hippos up to and including August 19th will be entered into this random giveaway. If you listed your name anonymously then I'm sorry but we have no way of knowing who you are - we only have access to what has been shared publicly. The odds of getting a shirt are probably not very good. Likely between a 1 in 100 to a 1 in 200 chance. The odds of having SMA - if both parents are silent carriers - is 1 in 4. The odds of being a silent carrier of SMA - if both parents are silent carriers - is 2 in 4. August is Spinal Muscular Atrophy awareness month. 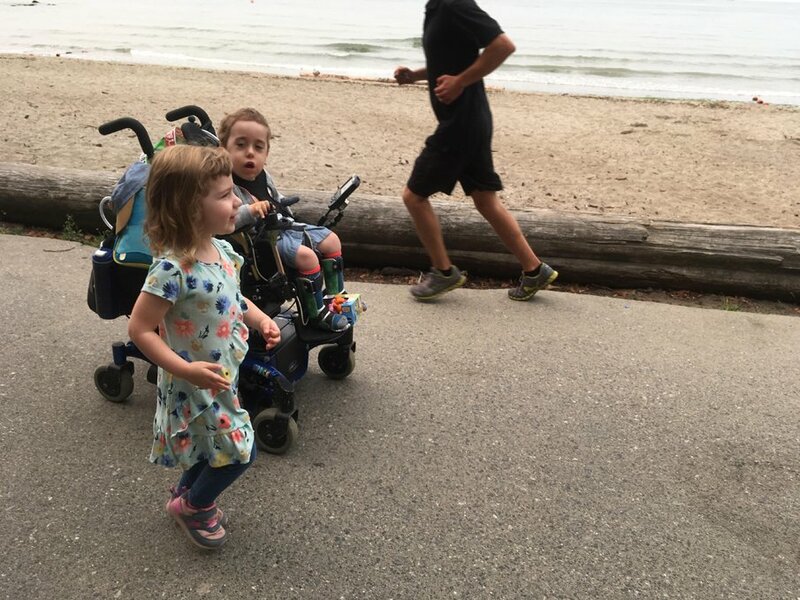 This rare disease happens more frequently than you may be aware and Florence and Charlie's 10K to End SMA is supporting those searching for a cure. 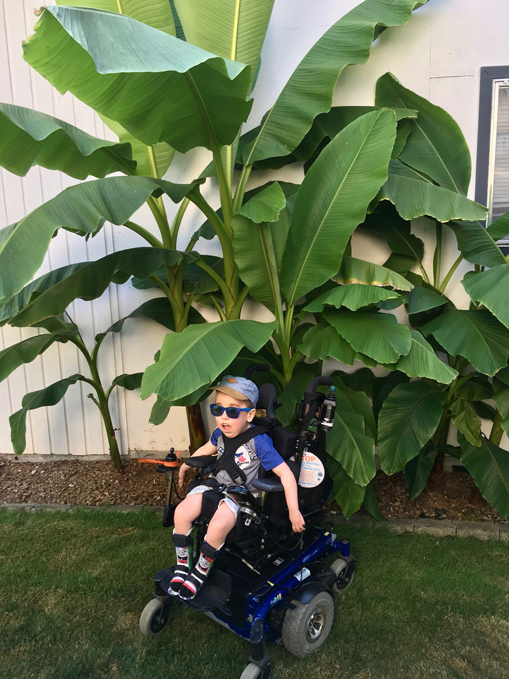 Emmett is an amazing little boy who appreciates your support. If you want to support Emmett in this roll-a-thon, please click here to make a donation. Support the Orange Hippos/get a chance to win a T-Shirt! We might send you an Orange Hippos T-Shirt! 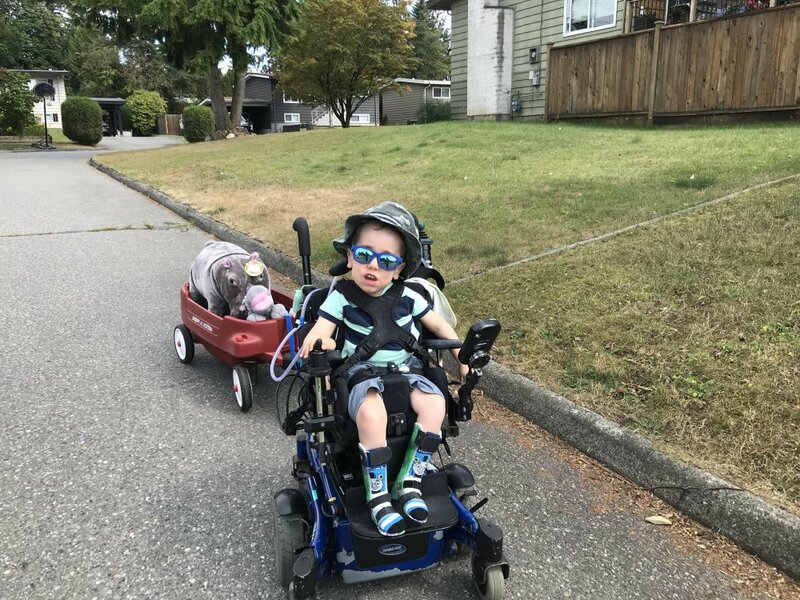 Yes, I'm posting once more about the Roll-a-Thon that Emmett is going to be participating in this coming August 19 at Stanley Park. 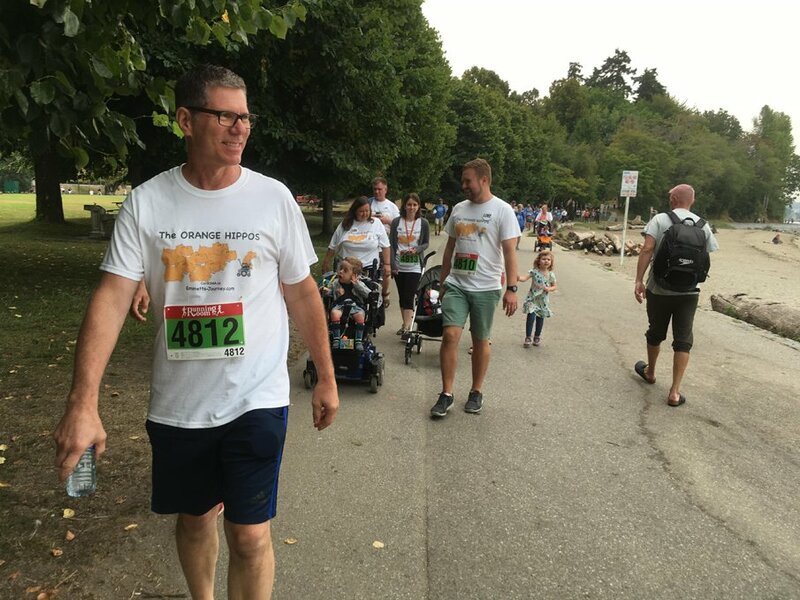 Florence & Charlie's 10K to End SMA is a tremendous cause. 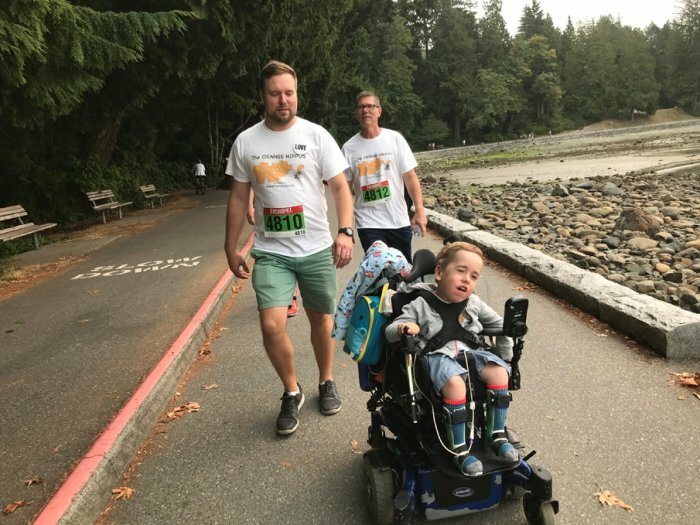 When Emmett was six months old he participated in his first Florence & Charlie's 10K to End SMA but he hasn't been strong enough or well enough to participate since. Until this year. When he was six months he rolled along in a stroller. This year he will be rolling along using his power chair. 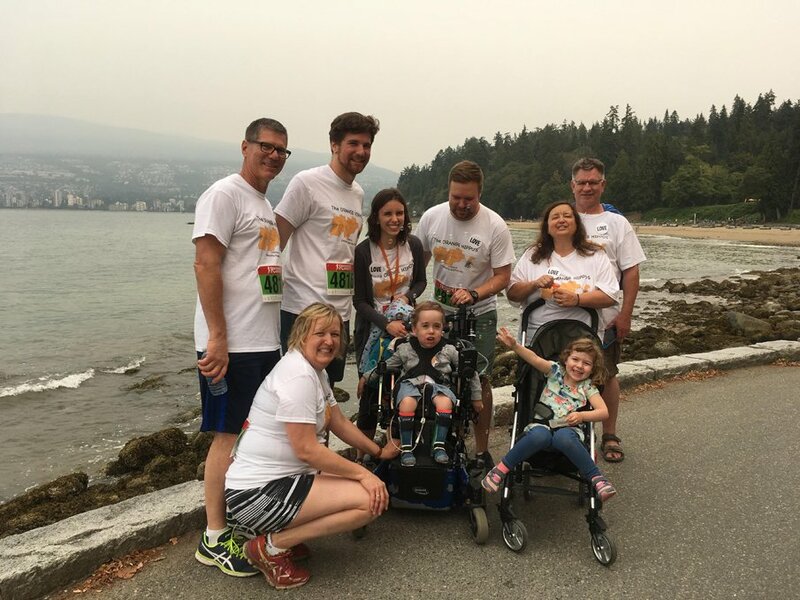 Funds raised go to CureSMA Canada - that means these funds may very well be supporting someone in your neighbourhood. Orange Hippo team members will be wearing the amazing Orange Hippo T-Shirt. 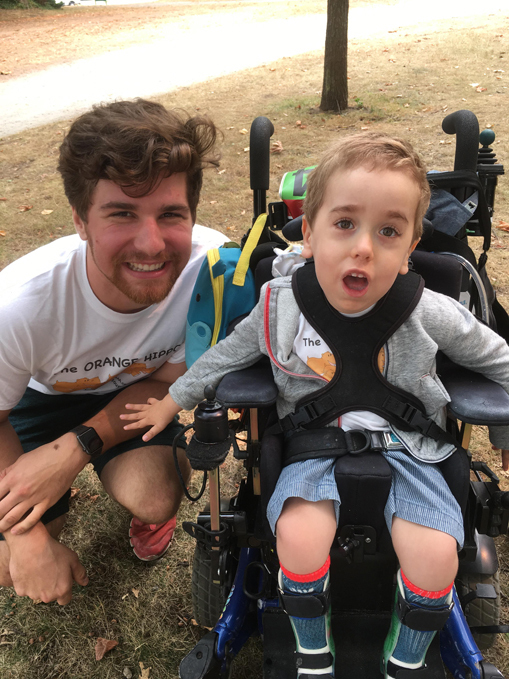 One lucky person who has sponsored The Orange Hippos in Florence & Charlie's 10K to End SMA will be randomly chosen to receive an Orange Hippos T-Shirt. Seriously. 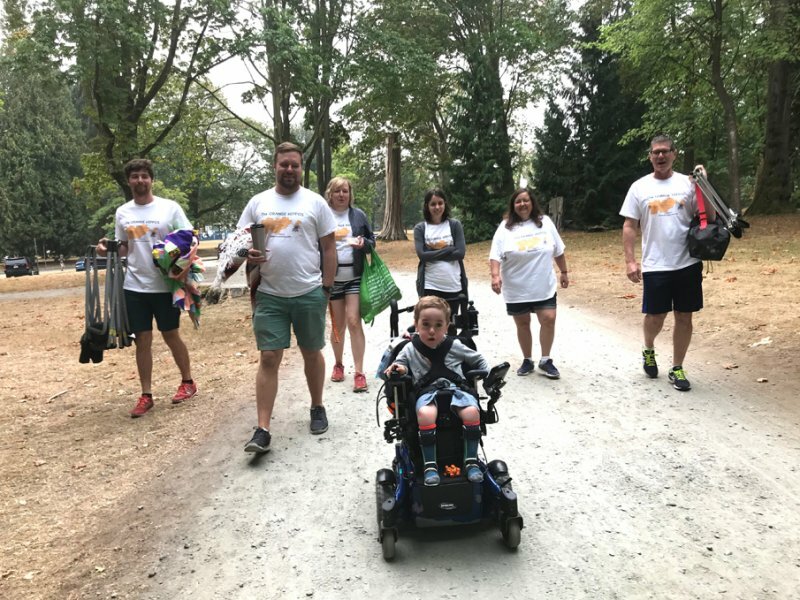 If you sponsor anyone on The Orange Hippos with a $25 or more donation, then your name will be entered into the draw to win one of these amazing shirts that were inspired by Emmett.